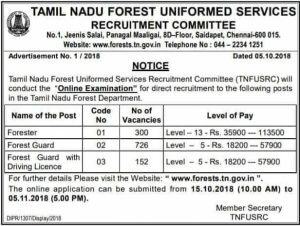 Tamil Nadu Forest Uniformed Services Recruitment Committee (TNFUSCR) has now released notification for the post of Forester, Forest Guard and Forest Guard with Driving License. This TNFUSCR recruitment 2018 registrations will start from 15th October 2018. The total number of vacancies available for the TNFUSCR (Tamil Nadu Forest Uniformed Services Recruitment Committee) is 1178. Detailed Notification is provided in this post. 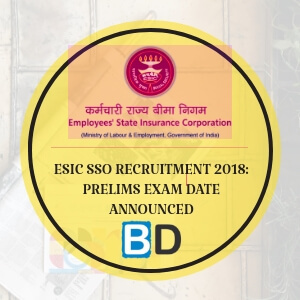 Candidates selection will be made by Online Examination for the Direct Recruitment of the above post vacancies. So the OMR method for exams are over and TNPSC is conducting the exams in ONLINE mode from this TNFUSCR 2018 recruitment process. 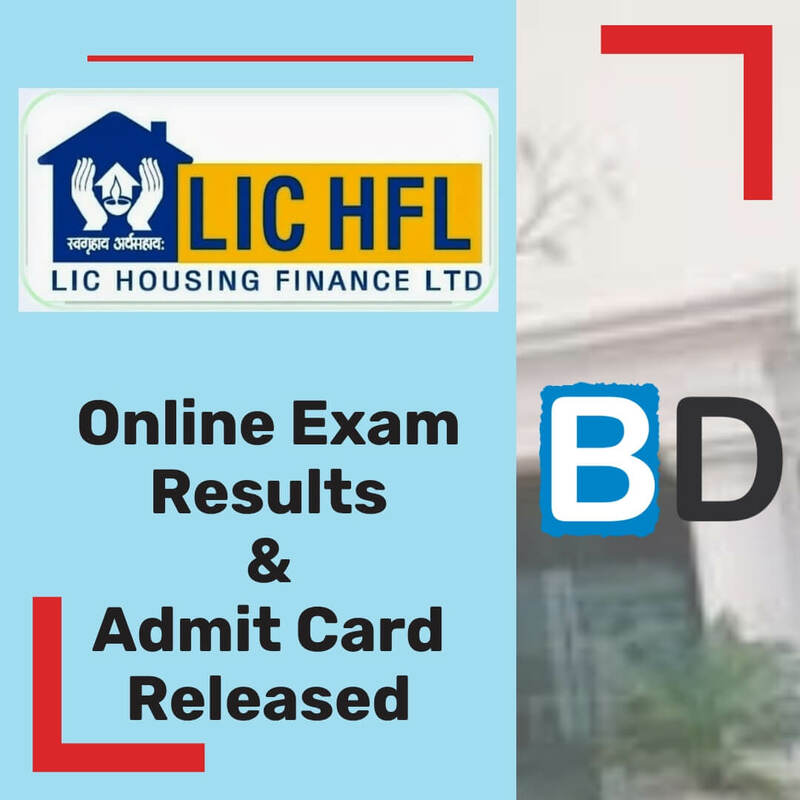 Further details like Syllabus for TNFUSCR, Educational Qualification for TBFUSCR, Age Limit to Apply for TNFUSCR & Physical Test for TNFUSCR is available now and we have provided it in separate posts. The Detailed notification for the TNFUSCR 2018 recruitment to be available on the official website of TN Forest Department (www.forests.tn.nic.in & forests.tn.gov.in) or check below this post now. Also, the Huge question which everyone will raise is that, Whether Engineering graduates (B.E) are allowed to apply for this TNFUSCR (Tamil Nadu Forest Uniformed Services Recruitment Committee). We have answered the Questions of whether B.E Graduates are allowed to apply for the TNFUSRC recruitment 2018 in the video provided below. இந்த விண்ணப்பத்தில் குறிப்பிட்டுள்ள விவரங்கள் அனைத்தும் என் அறிவுக்கு எட்டியவரை உண்மை. இவ்விண்ணப்பத்தை பொறுத்தவரை எதுவும் எதுவும் மறைக்கப்படவில்லை. தேர்வுக்கு முன்போ அல்லது பிறகோ இவ்விவரங்கள் தவறு அல்லது உண்மைக்கு புறம்பானது அல்லது தகுதியின்மை என அறியும் பட்சத்தில் என் மீது தமிழ்நாடு வன சீருடைப்பணியாளர் தேர்வு குழுமத்தால் எடுக்கப்படும் எவ்வித நடவடிக்னகக்கும் உட்படுகிறேன். I hereby declare that all the particulars furnished in this application are true, correct and complete to the best of my knowledge and belief. In the event of any information being found false or incorrect or ineligibility being detected before or after the examination, action can be taken against me by the Tamil Nadu Forest Uniformed Services Recruitment Committee (TNFUSRC). 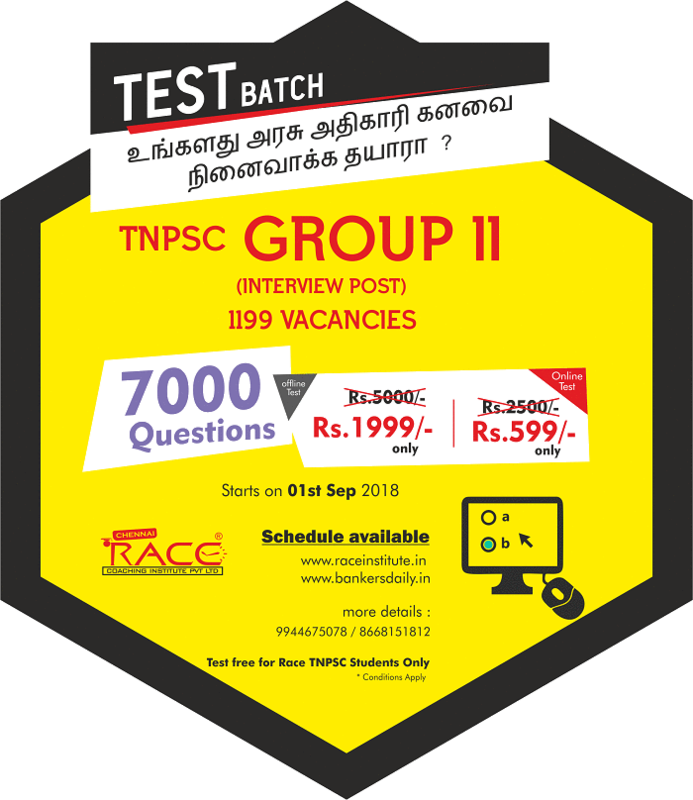 Apply for the TNFUSRC Exam 2018 now from the link given below. Bro do say ” I studied ” not as ” I am studied ” , it is completely wrong . Yes but all other states aspirants will be considered as General.